Many creatures with which we are familiar are venomous or poisonous. Perhaps because they have not produced a large number of human fatalities we are not warned of their dangers. Nevertheless, it is wise to know what these creatures are capable of doing. 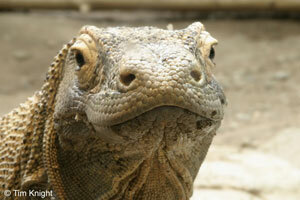 This is a list of the 10 animals you didn’t know were venomous or poisonous. They are in no particular order. 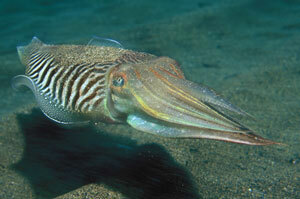 The cuttlefish is closely related to the squid and octopus. It has 10 arms covered with tiny suckers, and at the base is their beak. This beak injects a fast acting venom which is not harmful to humans. The venom works by attacking the victim’s nervous system. 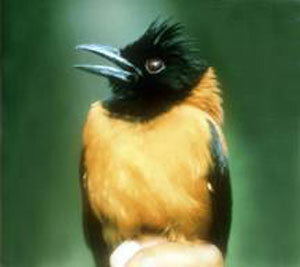 A songbird from New Guinea, its skin, as well as feathers, contain a very powerful poison called homobatrachotoxin. This is the same poison found in South American dart frogs, although it is severely less toxic than the frogs, and a whole bird would have to be eaten for any real harm to occur. The poison is transferred easily to humans by merely touching or handling the bird. 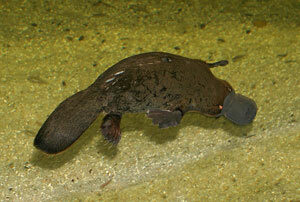 The male platypus has a spur, located on the heel behind each leg. Their venom is not known to be deadly to humans. The venom is produced only by mature males and is most potent during mating season, leading some researches to believe that it is used primarily against competing males. 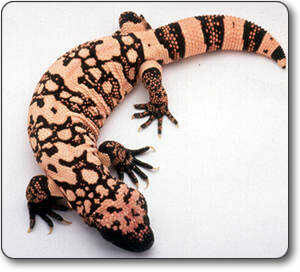 The Gila Monster is one of only two known venomous lizards and can be found in southwest USA and Mexico. The Gila Monster’s venomous bite is different than most animals, in that most of its teeth have grooves that conduct the flow of the poison. Also, rather than an injecting bite, the venom flows from these grooves and is injected through chewing. They are rarely fatal to humans. The centipede is very common in the US. Its body is made up of up to 150 segments with a pair of legs for each segment. The head has long antennae and a pair of large claw like structures. These claws carry the venom glands. 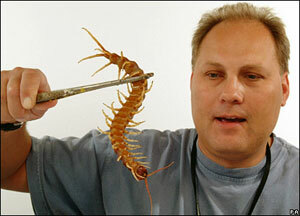 While centipedes are, for the most part, not fatal to humans, some of the large or giant species can be very dangerous to children. 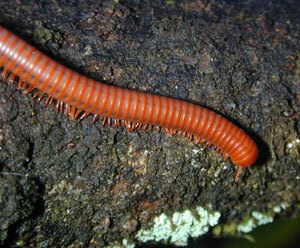 Closely related to the centipede, some millipedes emit poisonous liquid secretions or hydrogen cyanide gas through microscopic pores on their body. Some of these substances are caustic and can burn the exoskeleton of ants and other insect predators, and the skin and eyes of larger predators. 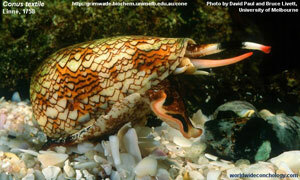 The cone snail’s harpoon is a modification of the radula, an organ in molluscs which acts as both tongue and teeth. The harpoon is hollow and barbed, and is attached to the tip of the radula inside the snail’s throat. When the snail detects a prey animal nearby, it turns its mouth – a long flexible tube called a proboscis – towards the prey. The harpoon is loaded with venom and, still attached to the radula, is fired from the proboscis into the prey by a powerful muscular contraction. The venom paralyzes small fish almost instantly. The snail then retracts the radula, drawing the subdued prey into the mouth. The cone snail’s bite is similar to a bee sting, but the larger species are responsible for 30 known cases of human death. 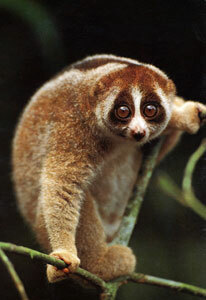 The Slow Loris is one of the few mammals which is venomous. In addition, it is the only mammal which is both venomous and poisonous at the same time. Slow lorises produce a toxin on the inside of its elbows, which it smears on its young to prevent them from being eaten. In addition, it will lick these patches to put the poison in its mouth, giving it a venomous bite used for self defense. While they do not technically produce venom, their diet consists of pretty much anything dead, and that creates a special mixture of deadly bacteria build up in their mouths. Their saliva contains more than 50 types of bacteria, of which 7 are highly septic and 4 have no known specific antidote. However, if treated with powerful antibiotics, it proves non-fatal to humans. There are many types of coral, and a few of these have toxic chemicals that are not fully researched yet. The most deadly coral is the Palythoa. It can kill a rabbit with only a 25 nanogram injection. To kill a human would only take 4 micrograms. 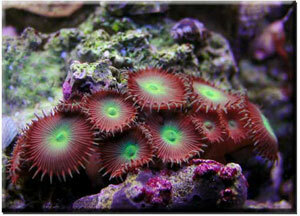 Palytoxin is considered one of the most toxic organic poisons. Symptoms of palythoa poisoning include chest-pains, difficulty breathing, racing pulse and low-blood pressure. Death occurs within minutes, and there is no treatment.